well before i started blogging i have been thrifting and uncovering treasures. a few weeks ago, i remembered that i had stored away 3 authentic eero-saarinen knoll tulip chairs in my storage closet (i had a total of 7). most design enthusiast would crucify me for having done that. lol. however, i manage to sell one of these to a twitter follower who lived close enough to do a pick-up. 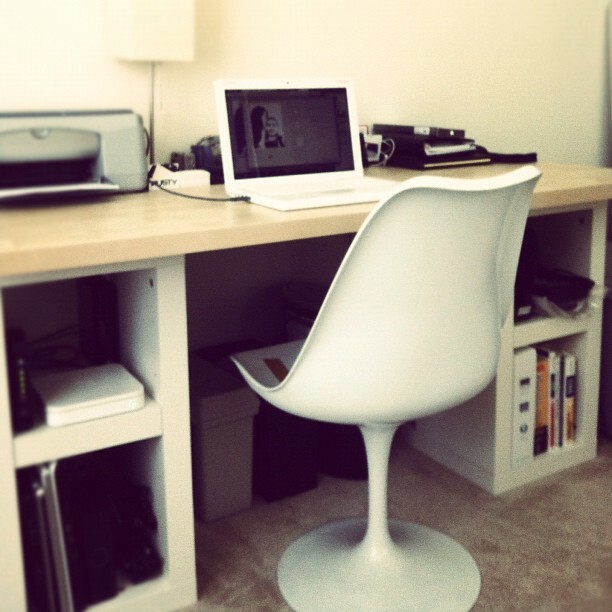 she tweeted me a picture and it looks great in her office space. i am so glad she was able to get it at a great price. 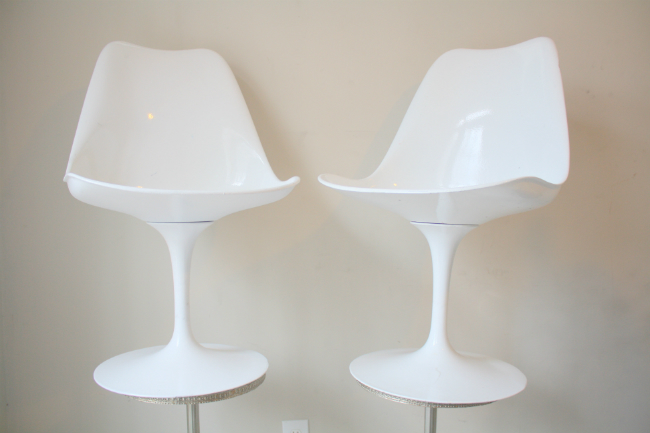 the saarinen armless tulip chairs retail on the design within reach website for a few thousands. so she really got a great deal. i have finally touched up the other two chairs and have placed them on ebay. i have also decided to offer a shipping option. there were quite a few buyers who lived in california, but because i didn't offer shipping they were unable to purchase. if you are interested in them or just want to see how they do at auction here is the listing.